Product prices and availability are accurate as of 2019-04-23 23:58:31 UTC and are subject to change. Any price and availability information displayed on http://www.amazon.co.uk/ at the time of purchase will apply to the purchase of this product. 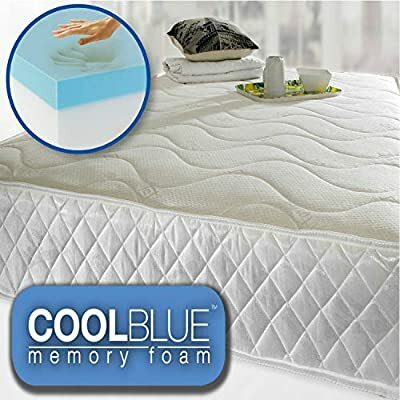 Memory Collection mattresses arrive topped with a layer of Cool Blue Memory Foam to comfortably hold the bodys natural shape. Beneath the cover is a layer of Cool Blue Memory Foam that sits on top of a 13.5 Guage Bonnelle Spring System. This is all topped off with being covered with our Quilted Breathable Cover with Breathing Vents for mattress to remain cool. Delivery is an all day, Working Day Delivery (8am-6pm) by a National Courier. It is a Main Door / Main Flat Entrance Door Delivery only and so it is the Customers Responsibility to take the items into the premises. As with nearly all mattress retailers we are unable to accept mattresses for return for health and hygiene reasons. 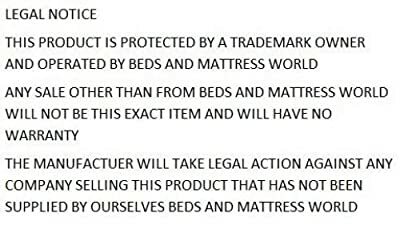 By used we mean mattresses that have been removed from their packaging. 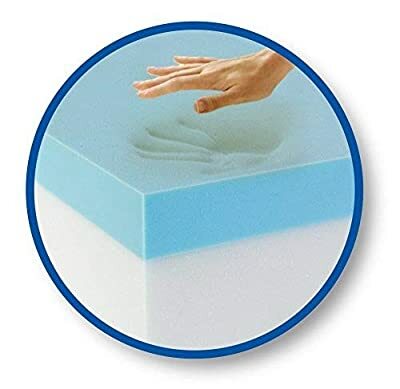 Therefore we would like to advise customers to try the mattress on the bed with the packaging still on, only remove once you are happy with the product and are willing to keep it. If you find that the mattress is not suitable for you then we are very happy to collect the mattress in its original packaging however this would incur a charge of £30.00 to cover the courier cost and we would deduct this from the final refund that would be given. All our products come with a 12 month warranty but if goods are faulty/damaged you will have to inform us within 48 hours as after this time we cannot be sure that it has been our fault and may be a personal fault. If you are happy with your purchase and service from me, please kindly leave me 5 Star ratings! however, if you are not happy with your purchase, please do not hesitate to contact me via Amazon messages before you leave a lower rating. I will then deal with your issue fast and efficiently. Thanks! Mattress comes vacuum packed and rolled up for delivery purpose. Please unroll and allow 24-48 hours for mattress to rise.